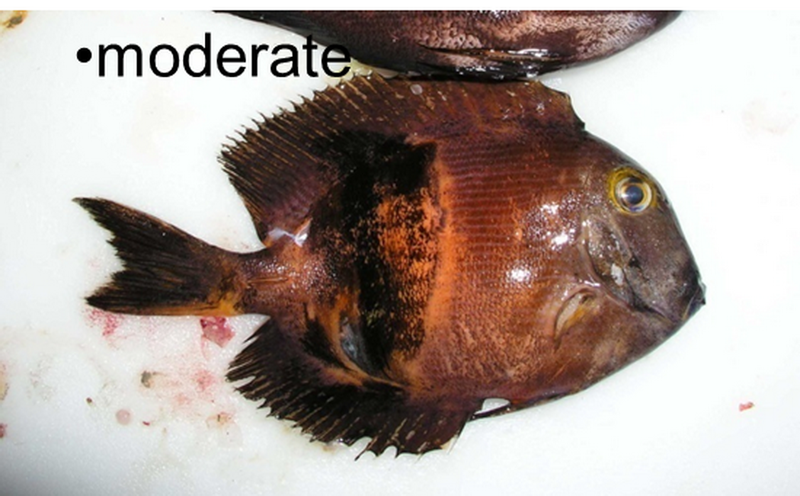 Fish, like other animals, suffer from diseases. 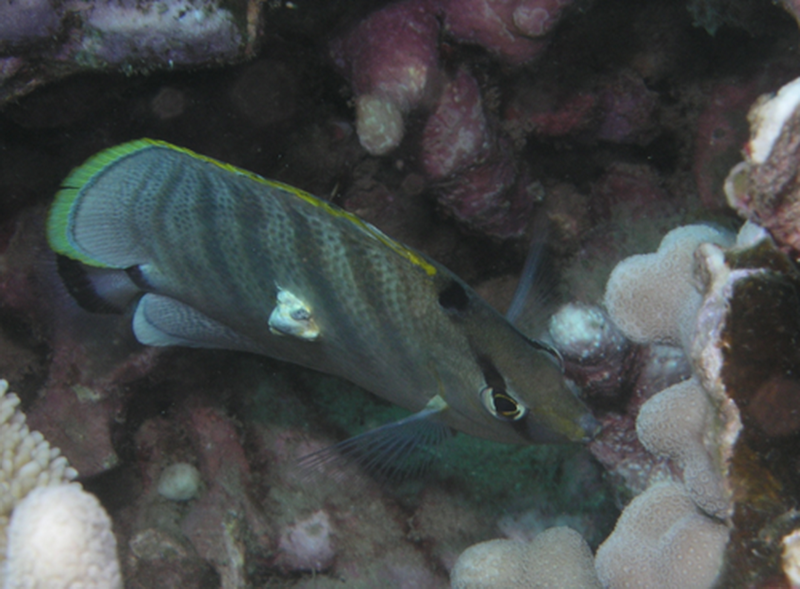 In Hawaii, skin cancer has been found resulting in obvious tumors in butterflyfish and appears as a distinct discoloration in goldring surgeonfish (Ctenochaetus strigosus). Research is needed to figure out why these fish are developing cancers. To read more click on Skin cancer in Hawaiian kole. 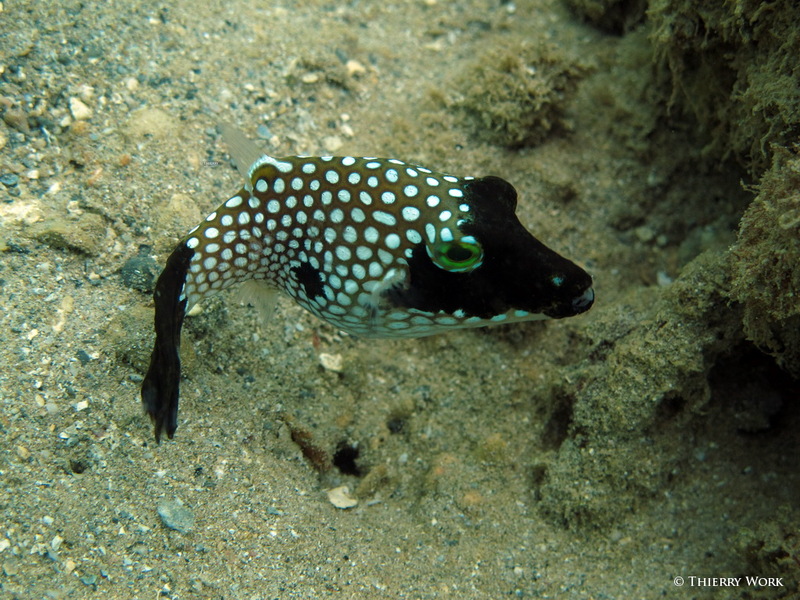 We have also found spotted tobies (Canthigaster jactator) with black discoloration which was found to be evidence of chronic irritation. Kole (Ctenochaetus strigosus) with skin cancer (discolored area). Butterflyfish (Chaetodon multicinctus) with protrusive skin tumors.